Defeated Georgia Democratic gubernatorial candidate Stacey Abrams is suing the state of Georgia over alleged and widespread voter suppression, however, the lawsuit condemns legislation that Abrams herself helped pass. Fair Fight Action filed the lawsuit on Tuesday in the U.S. District Court for the Northern District of Georgia. Fair Fight was launched by Abrams after her loss to Gov.-elect Brian Kemp to “pursue accountability in Georgia’s elections and integrity in the process of maintaining our voter rolls,” according to a press release. The suit lists curtailing the duration of early voting as among the election board’s barriers, making it more difficult for residents to vote. However, Abrams was a co-sponsor of the bill to shorten the early voting period when she was a member of the Georgia General Assembly. At the time, Abrams argued that “smaller, poorer counties could not afford the longer period,” reported The Atlanta Journal Constitution. Consequently, she sponsored legislation that reduced early voting in Georgia from 45 days to 21 days. 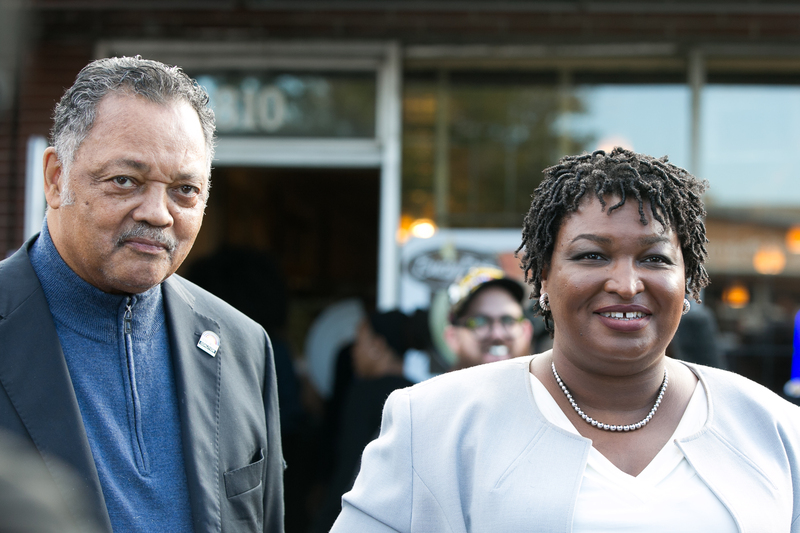 The lawsuit also re-ups a claim that Abrams made in October, accusing Kemp, in his capacity as Georgia’s secretary of state, of shutting down voting precincts in a predominately black county, leading to possible voter disenfranchisement. The decision to close precincts is, however, under the control of the county’s election board rather than the state of Georgia — the county in question has a Democratic majority. Following Abrams’ loss, she has appeared regularly on cable news shows repeating those assertions. The press secretary for Abrams’ gubernatorial campaign did not immediately respond to The Daily Caller News Foundation’s request to comment.